The secret of Bonne Maman Preserves, Jellies, Curd, and Spreads is simple – our ingredients. Made from the same time-honored traditional French recipes used to create the brand, our preserves and jellies are made with natural ingredients and feature onl Bonne Maman Preserves, Jellies, and Spreads, produced in France, are Non-GMO Project Verified, have no high fructose corn syrup, no artificial coloring or no preservatives added. Everything in Bonne Maman Preserves and Jellies could easily be found in your Grandmother’s kitchen cabinet. Our iconic wide mouth jar features a handwritten style script label reflecting the simple ingredients, homemade taste that is Bonne Maman! 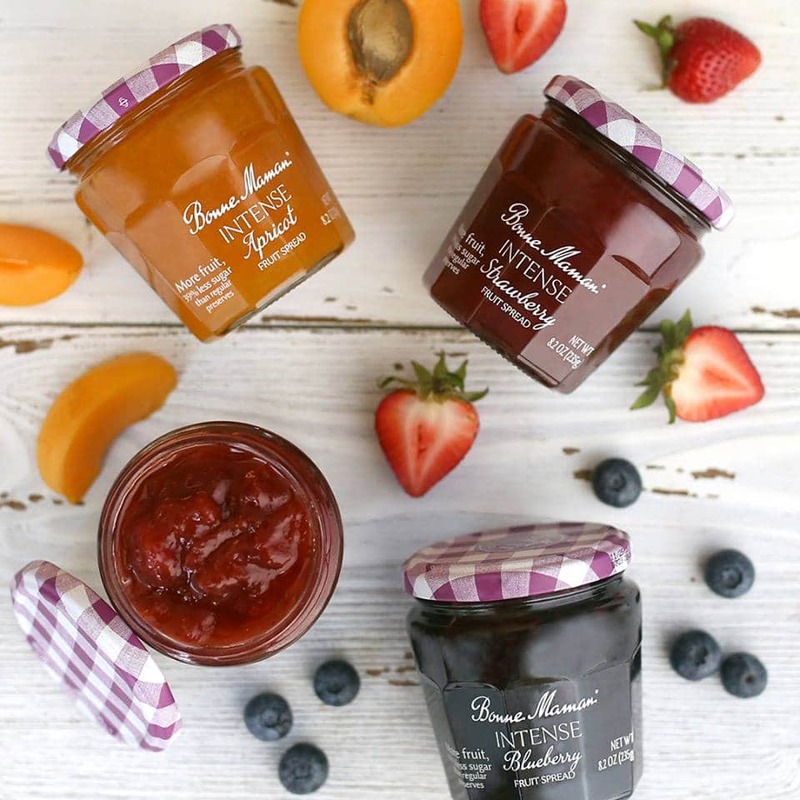 The #1 premium preserves brand in the U.S., Bonne Maman Preserves is pleased to announce the newest addition to the Bonne Maman family of preserves, jellies, spreads, and curd: Bonne Maman INTENSE Fruit Spreads.